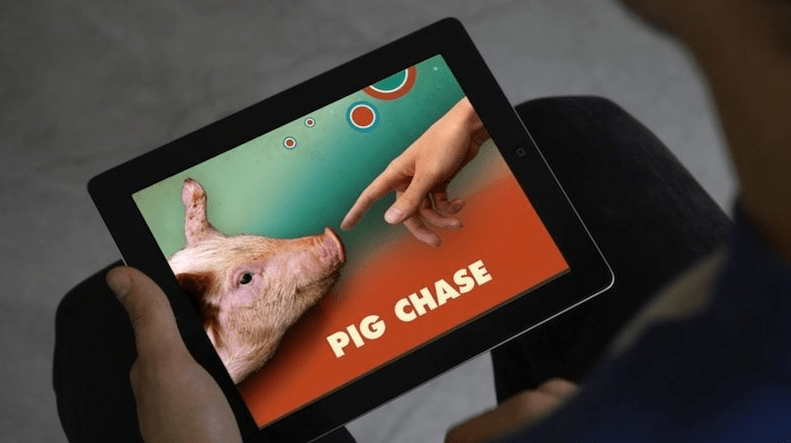 There’s a lot of talk these days about improving the quality of life for animals destined to end up as dinner, and the iPad app concept Pig Chase takes the concept digital. 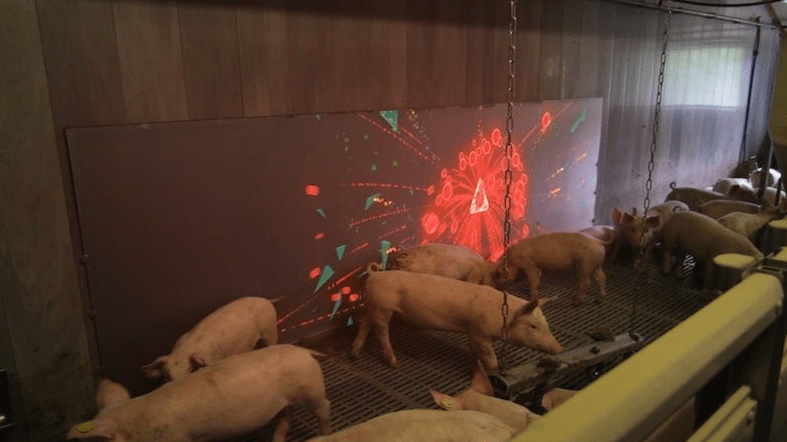 Dutch researchers across several disciplines (technological and, you know, agricultural) are working together to create the app, which allows human users to interact with actual pigs via an iPad and a giant touchscreen in the pig pen. 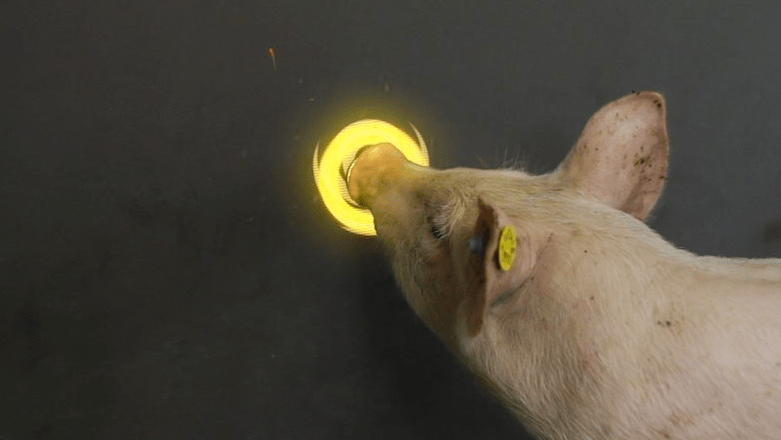 When a human finger and a porcine nose touch equivalent points on their respective screens, the human’s score goes up and the pig gets to see a light display.